Entry filed under: Advertisment, Advice, Arizona, Big City, Billboards, Christmas, Christmas Decorations, decorated for Christmas, Entertainment, Events, Family, Friend, Greenwood, Halloween, Holiday, Holidays, holy mess, Humor, Indiana, Lake Havasu, Life Stories, Lifestyle, Merry Christmas, Nativity, November, Pumpkins, Random Thoughts, Signs, Uncategorized, Weather. Tags: Advice, Christmas, Christmas Decorations, decorated for Christmas, Events, Family, Greenwood, Holdiays, Holiday, Humor, Indiana, Life, Life Stories, Lifestyles, Memory Lane, Ramdom Thoughts, Snow, Soup To Nuts, Uncategorized. Superstitious? 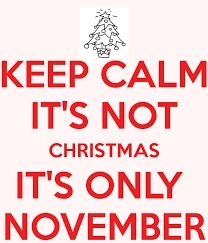 Take the Day off Work	Christmas Decoration Rules…….Really?